There are a variety of situations in which a person would wish to access medical complaints concerning a particular doctor or medical center. Potential patients considering choosing a new physician or specialist may find this information paramount to their decision; while someone intent on pursuing a medical malpractice claim could find complaints against the doctor in question relevant to their own case. Fortunately, complaints against doctors are well documented and often available as public knowledge. Knowing where to look is the first step to obtaining specific complaints against medical professionals. The American Medical Association has a wealth of knowledge concerning medical professionals. The American Medical Association is responsible for regulating doctors, in addition to investigating all claims of wrongdoing by physicians. This is a crucial starting point for those looking for information regarding a particular doctor. The database is searchable by name and contains information about complaints and resolutions for that individual. The AMA is also a great place to find information about the standards to which all doctors are required to perform. The Better Business Bureau may also be helpful in a search. Although it does not offer access to complaints against medical professionals, it does register details about the medical practice the individual in question is associated with. This information can include details such as unfair billing practices, collection proceedings, and general business details. Most states and counties maintain their own regulation boards for doctors. This is a convenient place to search for doctors by area rather than by name, as the database will be much smaller and tailored to the specific location. Because a review board is not responsible for regulating doctors, it may be more able to focus on complaints and adherence to AMA rules and standards. A state licensing department can provide information about current and past medical malpractice proceedings as well as doctor-specific complaints. Because doctors are often required to register with both the AMA and a state licensing department, much of this information may overlap. Local hospital records can also provide invaluable information about a certain physician; however, public right to these records may be limited. It may be necessary to petition the hospital’s board of administration in order to be granted access. When information is necessary to prove a medical malpractice claim, it may be advantageous to hire a malpractice attorney to assist in the records search. An attorney will have the skills and knowledge required to access records not easily obtained by a private citizen. 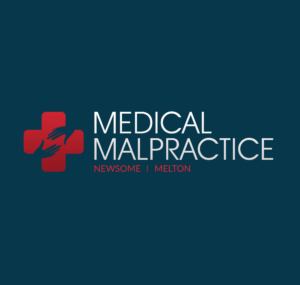 Although it is possible for the general public to obtain information about medical complaints pertaining to a specific medical professional, a malpractice attorney can make the task much easier.